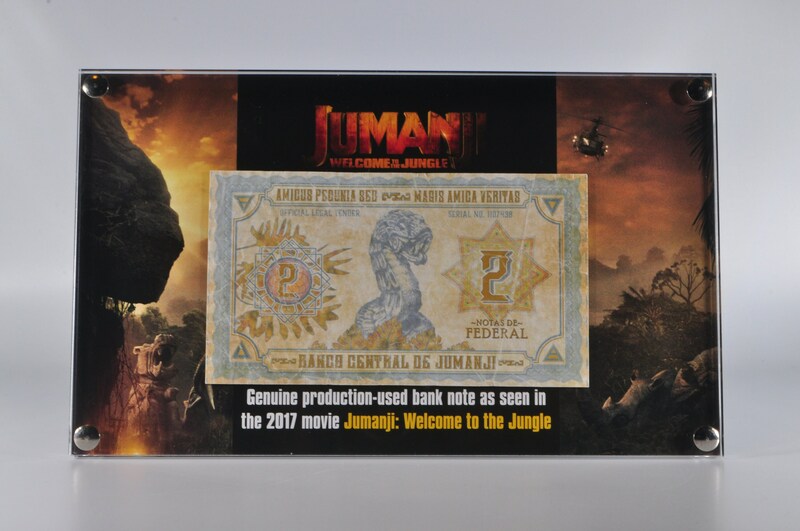 This is a genuine Jumanji currency prop note from the the second Jumanji Film, Welcome To The Jungle. This is for the 2 Notas De Federal, the artwork is stunning and by far one of the best drawn prop notes we have seen. The note is framed in our custom laser-cut acrylic frame with printed backing sheet and stainless steel fixings. The frame comes with a Reliquary certificate of authenticity encased in the rear of the frame.